When it comes to finding a great mascara, the clues are often in the wand. 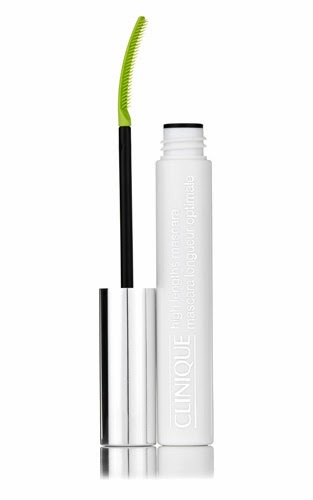 I’m always intrigued by the new shapes and sizes that pop up, and the one that comes with Clinique High Lengths mascara is definitely in a league of its own… and it works! A mascara that has been designed to “take lashes to new lengths for a bigger, bolder look” according to the legendary beauty brand, it stretches your lashes and grabs even the tiniest lashes and brings them out of hiding. The curved, fine-toothed “comb” is a wonder of a wand, and truly is dramatically different from typical mascara wands by being very thin with just three ultra tiny rows of plastic .The plus to this feature is that it's virtually impossible for your mascara to clump, and the comb also separates lashes very easily because there are only a few rows of plastic for your lashes to adhere to. This "plastic" is another differentiator, as the wand doesn't have any of that fluffy material that you might be used to and is super clean to use. After several applications I quickly decided that in many ways, I really love the unique brush - as I said, it allows for excellent lengthening without clumps, which is always my first requirement in mascaras. It can be built up for a serious false lash look, or just one coat will define and really open your eyes up too, so it’s super versatile and feels like nothing on. Definitely worthy of a two thumbs up in my book - I love this stuff!